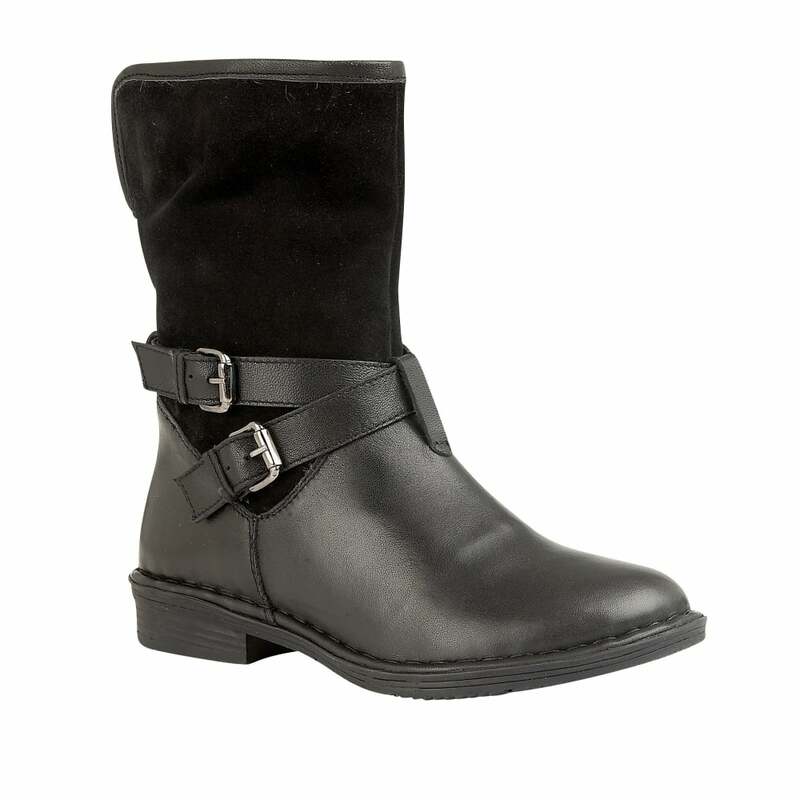 The striking Lotus ladies’ boot Gallatin is meticulously crafted in black leather and suede. It also features a sumptuous faux fur collar to make it a true season essential. Other distinctive finishing touches include buckle detailing that entwines around the upper and an extremely wearable 2.5cm heel.